Last month brought news of the death of Michael G. Kammen, an American historian who taught for several decades at Cornell University. Kammen’s first book was A Rope of Sand: The Colonial Agents, British Politics, and the American Revolution (1968), about the colonies’ lobbyists in London. He wrote other histories of early America, such as Colonial New York (1975) and People of Paradox: An Inquiry Concerning the Origins of American Civilization, which won the Pulitzer Prize for History in 1973. However, the field that Kammen staked out for himself wasn’t so much what happened as how we Americans have liked to remember events happening. 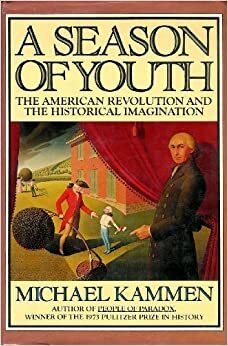 A Machine That Would Go of Itself: The Constitution in American Culture (1986) won the Francis Parkman and Henry Adams Prizes by discussing what we think of when we talk about the Constitution. Mystic Chords of Memory: The Transformation of Tradition in American Culture (1991) treated our understanding of history as itself a historical construct, and spearheaded a school of books about how we consider and commemorate the past. 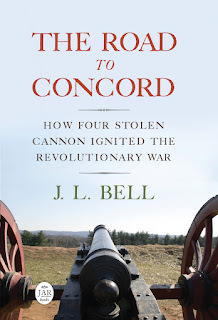 Almost to the point of numbing monotony,…imaginative writers have consistently perceived the American Revolution as a national rite de passage, and have relentlessly projected that vision to an ever-widening readership. . . . In some instances…a divided family exemplifies the divided empire; but much more common is the intergenerational conflict between father and son within the colonies, or a young man and his prospective father-in-law. Of course, American Patriots coined the metaphor of parent and child when discussing relations with Britain, among other ways of viewing the crisis. But later generations seized on it. Kammen traced a pattern of American novels through school staples like Johnny Tremain (1943) and and My Brother Sam Is Dead (1974) and lesser examples like Thomas Forty (1947), April Morning (1961), and even Kenneth Roberts’s Loyalist novel Oliver Wiswell (1940). Further examples published since Kammen’s book include the two volumes of The Life and Astonishing Adventures of Octavian Nothing and the eventual three volumes of the Forge trilogy. We might counter that most fiction for young readers is at some level about coming of age, and the adult supporting characters will almost always be less complex than the young main characters. But Esther Forbes actually labeled Johnny Tremain “A Novel for Old and Young,” suggesting she wasn’t just trying to write for fifth-graders. If her hero was a teenager, that’s because she felt Johnny’s story was a good vehicle for his society’s political awakening. And that book remains the twentieth-century novel of the Revolution that has struck the most chords for American readers.